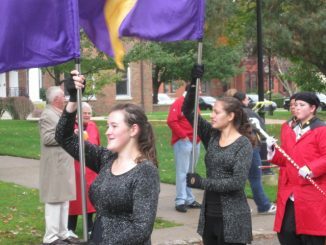 A video slideshow highlighting the Homecoming festivities of this past weekend, Oct. 1-3. The 2009 GLCA winner for creative non-fiction, Melissa Delbridge, visited Albion College to read from her latest book, “Family Bible” on March 18, 2010. After her reading, Delbridge sat down with The Pleiad to discuss her work, craft and the experiences she has had while promoting “Family Bible.” Photo courtesy of Danit Brown.